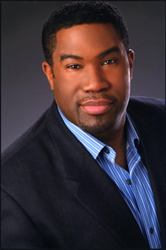 Wolf Trap Opera (WTO), a top residency program for emerging opera professionals, welcomes internationally renowned bass-baritone Eric Owens as its first Artist in Residence. Throughout the summer Owens will work privately as a coach and mentor to WTO’s 17 Filene Young Artists and 16 Studio Artists, who were chosen from a record 1,082 applicants from around the world. He will also join the 2014 Filene Young Artists in Aria Jukebox on July 13. Other public appearances include a Recitative Artist Panel on July 12, at which Owens will moderate a discussion with four of his colleagues from the Metropolitan Opera and LA Opera, and a Master Class on August 3, during which he will work with several of this summer’s young artists. Acclaimed for his commanding stage presence and inventive artistry, the Grammy Award-winning Owens has carved a unique place in the contemporary opera world as an esteemed interpreter of classic works and a champion of new music. At the Metropolitan Opera, Owens returned as the vengeful Alberich in the final installments of Robert Lepage’s new Ring Cycle, Siegfried and Götterdämmerung, which were broadcast as part of “The Met: Live in HD” theatrical release series. He also joined Pinchas Zukerman and the National Arts Centre Orchestra for Verdi’s Requiem and reprised his role as The Storyteller in A Flowering Tree with Robert Spano and the Atlanta Symphony. Owens’s extensive resume includes regular appearances at numerous prestigious opera houses, including the Metropolitan Opera, Vienna State Opera, Lyric Opera of Chicago, Los Angeles Opera, San Francisco Opera, Washington National Opera, and Royal Opera House. Owens won his first Grammy Award for Best Opera Recording in 2011 for his role in John Adams’s Doctor Atomic. The following year he was nominated and won in the same category for his role as Alberich—the dwarf king and main antagonist—in the Metropolitan Opera’s recording of Richard Wagner’s the Ring Cycle, firmly establishing himself as a leading bass-baritone in the operatic world. Equally at home in concert, recital, and opera performances, Owens continues to bring his elegant poise, expansive voice, and instinctive acting faculties to stages around the world. During the 2013-2014 season, Owens appeared in recital with Robert Spano at Zankel Hall as the centerpiece of a coast-to-coast recital tour that also featured pianist Craig Rutenberg. He returned to Carnegie Hall with the Boston Symphony in Beethoven’s Missa Solemnis and as Jochanaan in a concert version of Salome with the Cleveland Orchestra under Franz Welser-Möst. The 2014 Artist in Residence Program is made possible by the Lincoln and Therese Filene Foundation. Tickets for Wolf Trap Opera performances are available online at wolftrap.org, by calling 1.877.WOLFTRAP, or at the Wolf Trap Box Office located at Wolf Trap National Park for the Performing Arts, 1551 Trap Road, Vienna, Virginia 22182. Beethoven’s beautiful Symphony No. 9 in D minor is paired with his Egmont Overture and Britten’s Four Sea Interludes to create a dazzling night of classical music. A spellbinding drama filled with lust, jealousy, and tragedy, Carmen is one of the world’s most popular operas. Handel’s most popular opera (both during his lifetime and today) returns to Wolf Trap for the first time since 1995. The audience gets to choose! The 2014 Filene Young Artists and special guest Eric Owens sing your favorite opera highlights. Ticket price includes a wine and cheese pre-concert reception beginning at 2 pm. Come early and put your quarters in the jukebox to vote for the arias of your choice! In their company premieres, Wolf Trap Opera pairs two 20th-century French one-act operatic gems. Steven Blier and a quintet of Filene Young Artists get domestic as they perform songs for every room of your home. Two separate casts of Filene Young Artists craft unique musical evenings inspired by the works in The Phillips Collection’s American Collection. The performance takes place in the Music Room and features projected images of the paintings. Introduce your kids to opera! This zany improv project takes characters, locations, and plot suggestions from the audience and weaves them into a made-to-order, one-of-a-kind opera! The Wolf Trap Opera Studio Artists represent the strongest voices from university and conservatory programs across the country. Studio Spotlight is an evening of mixed repertoire that allows them to take center stage and shine. Established in 1971, Wolf Trap Opera continues to earn national and international recognition for its mission to discover and encourage outstanding emerging talent in the opera field and serve singers of exceptional achievement and potential who are ready to make the transition to full-time professional careers. In addition to the young professional singers, the company also features the work of emerging designers, directors, and conductors and provides opportunities for aspiring stage managers, administrators, coaches, and technical theatre professionals. Wolf Trap Foundation for the Performing Arts, a 501(c)(3) nonprofit organization founded by Catherine Filene Shouse (1896-1994), produces and presents a full range of performance and education programs in the Greater Washington area, as well as nationally and internationally. Wolf Trap features three performance venues: the outdoor Filene Center and Children’s Theatre-in-the-Woods, both located at Wolf Trap National Park for the Performing Arts, and The Barns at Wolf Trap, located down the road from the national park and adjacent to the Center for Education at Wolf Trap. The 7,028-seat Filene Center is operated in partnership with the National Park Service and annually showcases an extensive array of diverse artists, ranging from pop, country, folk, and blues to classical music, dance, and theatre, as well as multimedia presentations, from May through September. The Barns at Wolf Trap is operated by the Wolf Trap Foundation year-round, and during the summer months is home to the Grammy-nominated Wolf Trap Opera, one of America’s outstanding resident ensemble programs for young opera singers. Wolf Trap’s education programs include the nationally acclaimed Wolf Trap Institute for Early Learning Through the Arts, Children’s Theatre-in-the-Woods, a diverse array of arts education classes, grants, and a nationally recognized internship program that was included in Bloomberg BusinessWeek’s 2009 List of “Best Places to Intern.” As part of its ongoing commitment to protect and preserve the environment, Wolf Trap offers Metro access and is a founding member of the Green Music Group. Visit wolftrap.org for more information.